Very pleased to be part of the Global Pennovation team with their on-campus event to spread awareness locally and globally about the serious social and environmental problems associated with food waste. 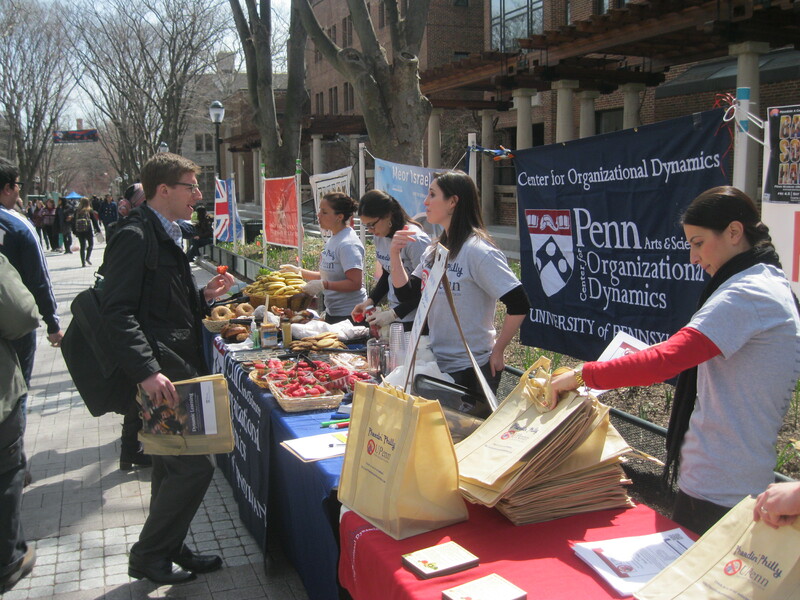 The students captured excess food from local organizations that would otherwise have been discarded, including bagels, bread, fruit, vegetables, and dessert items, and distributed that food to hundreds of UPenn college students. At the same time, they imparted meaningful statistics and information in order to influence their fellow students to change their behavior and take action to reduce food waste. They also passed out tote bags and refrigerator magnets with messages to assist people in minimizing food waste. Over 150 students signed a pledge to reduce food waste at the event. This highly successful event was the local component of the students’ work this term. It is augmented by a soon-to-be-completed website, as well as a social media effort including facebook https://www.facebook.com/UPennFoodWasteRevolution?ref=stream and twitter pages https://twitter.com/PennOrgDynamics and a highly instructional blog to impact others all around the globe. Globsl Pennovation (i.e. Dynamics 615) http://www.organizationaldynamics.upenn.edu/dynm-615-13a is a course focused on innovation for sustainability within the Organizational Dynamics program http://www.organizationaldynamics.upenn.edu/ at the University of Pennsylvania. In this course, we employ a multi-disciplinary team in a project management format to attack one of the most pressing problems impacting the globe.